Magic will fill the air in Tulsa this weekend, as the Illusionists bring their acts to the Tulsa Performing Arts Center. 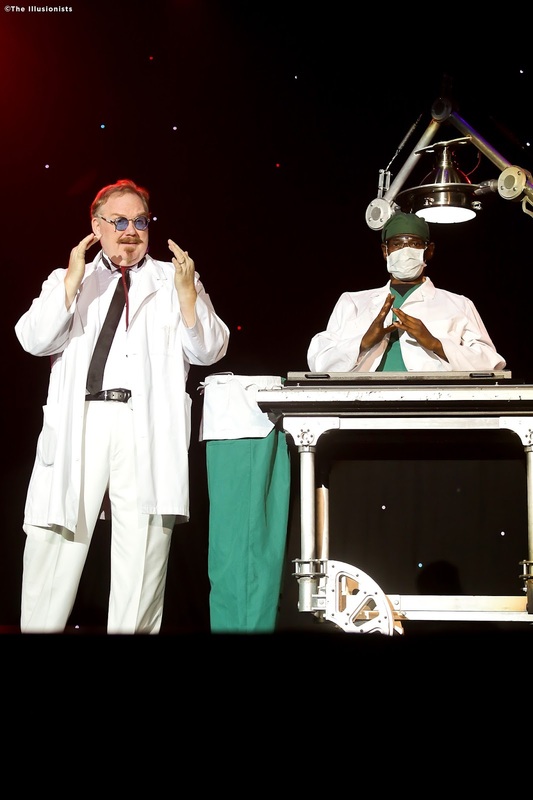 The Illusionists - Live From Broadway, a group of magicians with different skills and talents, will open this weekend for a series of shows designed to entertain and enthrall audience members of all ages. The members, with monikers that resemble The Avengers, have skills ranging from Anti-Conjurer, Daredevil, Manipulator and more. One member of the group, Kevin James, is known as the Inventor, because he has been creating magic illusions and honing his skills for years. James, who hales from a small village in Michigan, became enchanted by magic when he discovered a magic shop. The shop, which sat an hour away from his home, had a big catalogue of magical items. James said from a very young age he was hooked. He began to imagine the different possibilities magic could bring into his world. James said he began to invent, discover and search out ways to create various magical illusions - in a time, he jokes, before Google existed. Using a process that first began on paper, then emerged to include cardboard, masking tape, and then moving to wood and metal, James as The Inventor, creates magic illusions that are designed in his words "resonate with the audience." Ultimately, he wants to create illusions that help remind adults of all ages, of the wonder and joy they experienced as a child. While James uses many of his ideas, some have been used in the acts of David Copperfield, Chris Angel and even Penn & Teller. "I love to seen when [magicians] really change it up, to make the illusion fit them, to tweak it for their personality," James said. "I like to see them add their little touches." James said every magician adds their own "extra" items to an illusion, ranging from pauses to stories, lighting to staging. Everything is designed to engage and entertain the audience. James is one of the magicians who helped create the original show, when it premiered in Australia. He joins other cast mates for this weekend's shows in Tulsa. He tours the United States 45 weeks out of the year, engaging and entertaining people with his creations. James tries to capture a feeling of wonder and excitement in all of his illusions. - Tyukodi Laszlo / Special to the Grove Sun. 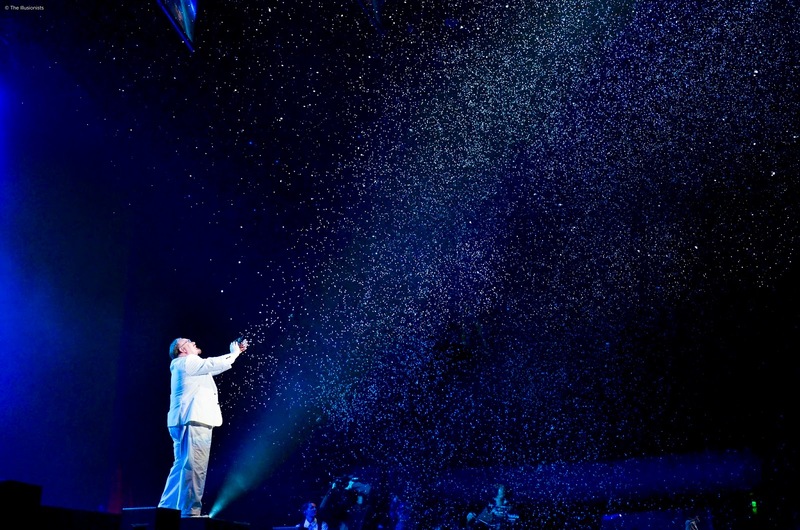 "Everything I create I try to have an emotional connection with it," James said, adding that he tries to capture the essence of wonder in his performance. "Wonder is a beautiful thing. I try to get adults to feel a sense of wonder again." James said every effect in his show is different, with many designed to trigger a nostalgic memory. In one instance, he helps people recall the first time they encountered a snow fall. In another, his illusion helps a young child make a napkin dance. "The sense of wonder is electrifying," James said. 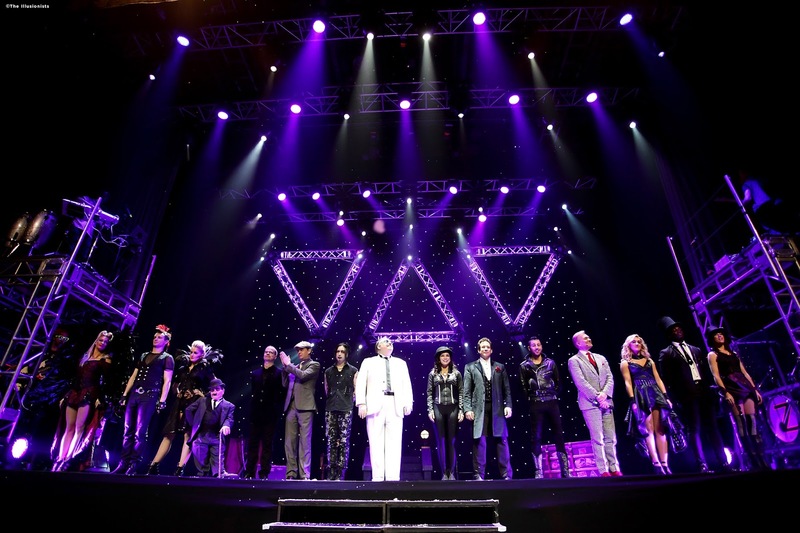 Ultimately, the Illusionists - Live from Broadway, is a show filled with seven entertainers, each with their own magical specialties. Each person brings about a different aspect of magic, all designed to engage and entertain. James, who can trace his linage back to the great American showman P.T. Barnum, is not only an inventor. He is also a collector of rare and unique items. One of the items in his collection is an old trunk, who once belonged to P.T. Barnum's second daughter, Helen Barnum. It came into his possession after he discovered it on a website that specializes in antique restoration. James found the item especially meaningful, because he can trace his linage to Barnum through Helen Barnum. His connection is through marriage, but "I'm still on the [family] tree. I'll take it." James said P.T. Barnum liked to entertain and find the unusual, unique and different items that engaged the audience. James said his show includes a little of this and more. One person who has inspired you. Teller from Penn and Teller. Off stage he is such a gentleman. On stage he creates these really beautiful pieces of magic that are soul touching. It's special, really special. Penn and Teller create so much good material. Teller is clever, funny and I'd like to be like him when I grow up. If I wasn't a magician, I would be a chef. I love to experiment in the kitchen. I've always wanted to take formal chef training. Not to become a chef, but to be able to dance better in the kitchen. I like to experiment to see if things taste good. My family. I draw so much support from them. They mean everything to me. My wife travels with me doing the show. I'm miserable when she doesn't. I need her. Invest in yourself. That's a great piece of advice. Put money back into your act. Back into being healthy. Become the best person you can be. From Steve Martin - Be so good, they can't ignore you - He's a hero to me and a great magician. 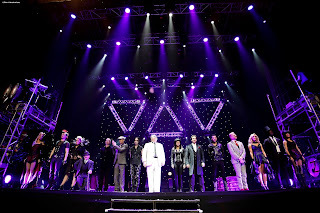 The Illusionists - Live on Broadway will perform at 8 p.m., Friday, Sept. 18, 2 p.m. and 8 p.m., Saturday, Sept. 19, and at 1 p.m., Sunday, Sept. 20, at the PAC. Tickets are available by 918-596-7111 or 800-364-7111, in person at the Tulsa PAC Box Office, or online at MyTicketOffice.com. 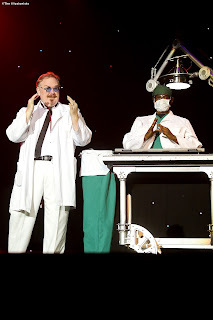 For more information about the Illusionists - Live From Broadway, persons interested may visit www.theillusionistslive.com.